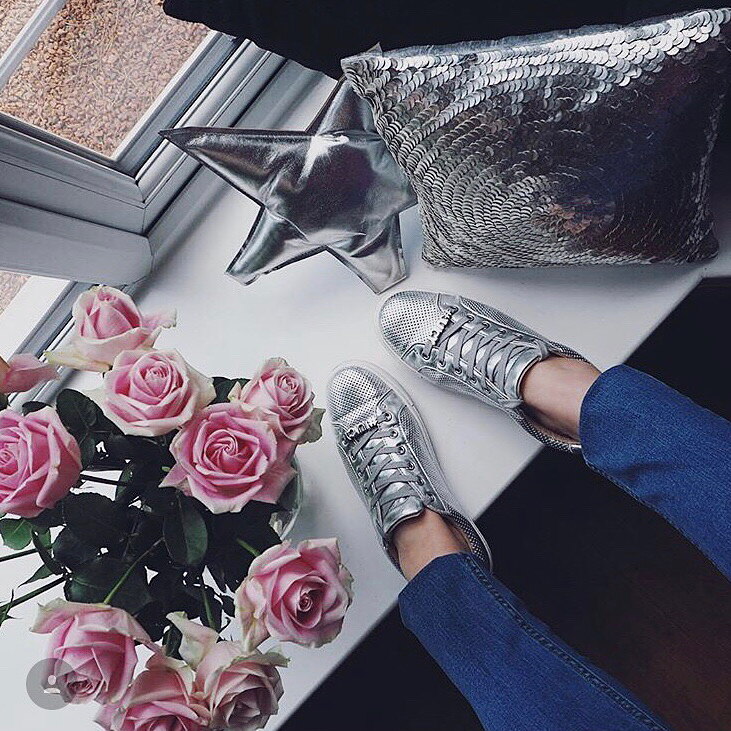 And welcome to a very special little blog post… all about my Instagram hashtag #fridayfeet, a Converse Outlet store opening and a bonanza giveaway! I’m genuinely so excited, I don’t know where to start! 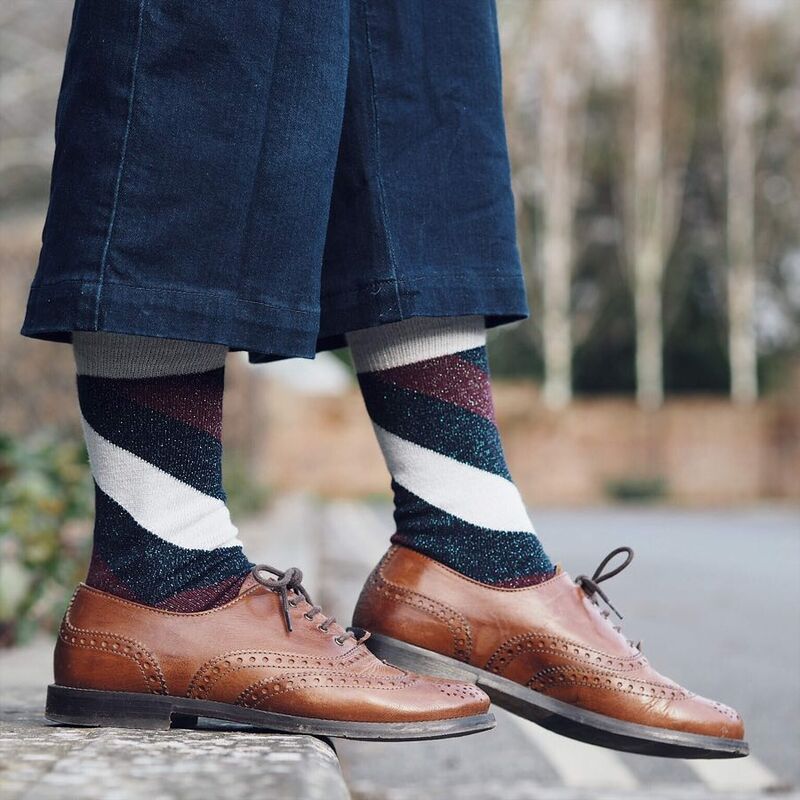 So, first thing’s first… I’ve been in touch with Swindon Designer Outlet over the past couple of months to bring you a fantastic giveaway as a way of saying thanks for all your support over the past year of #fridayfeet shoefies! 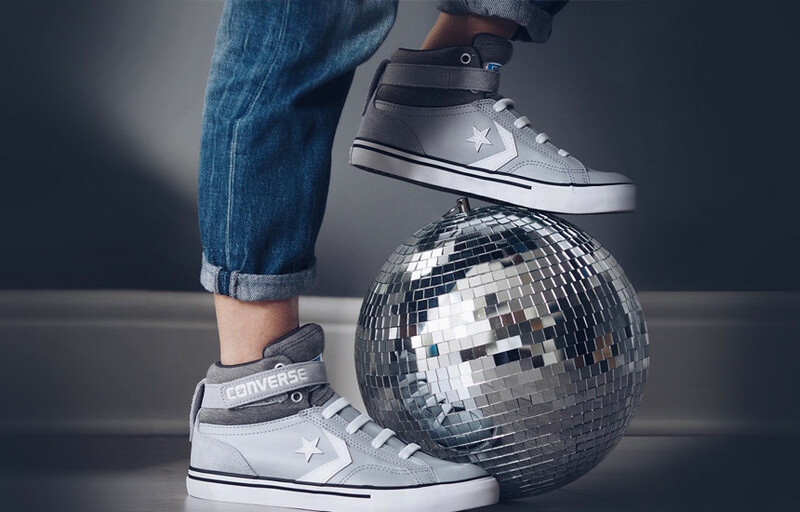 Serendipitously, the #fridayfeet anniversary ties in with a new Converse Outlet opening it’s doors this Thursday 23rd August @swindonoutlet and they are offering up five pairs of converse for their favourite #fridayfeet posts this week. Yup: you could be in with a chance of winning one of FIVE pairs of Converse this Friday! Before I go into details of how you can get involved, let’s talk ‘shoefies’. 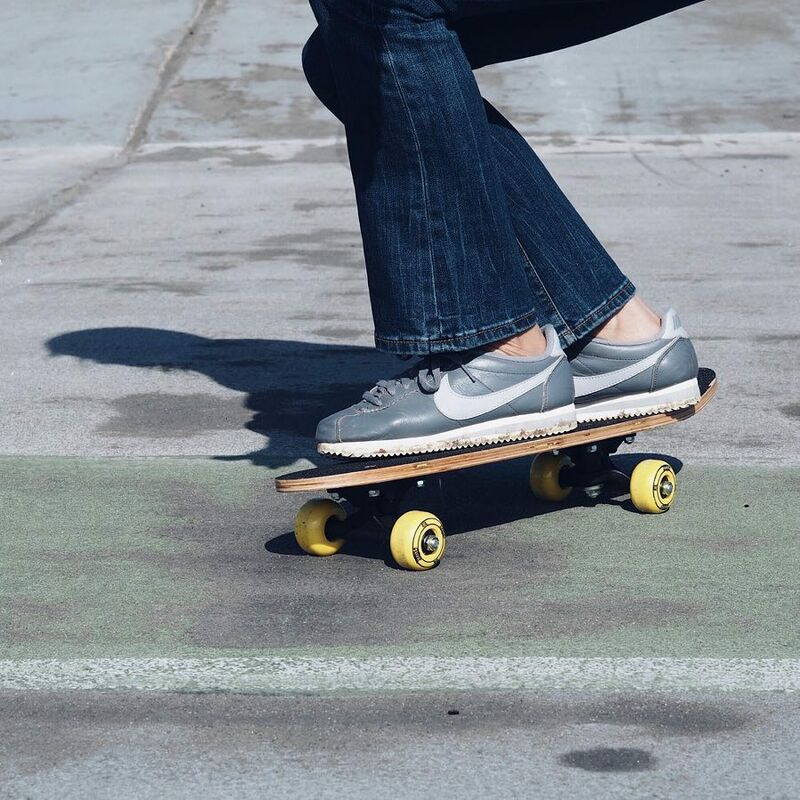 This week, to be in with a chance of winning a pair of Converse, you’ll need to get creative with your photos… which you guys happen to do most weeks to be honest. But, for a little inspiration, here are some super creative #fridayfeet photos , from you as well as a couple of my own of course! 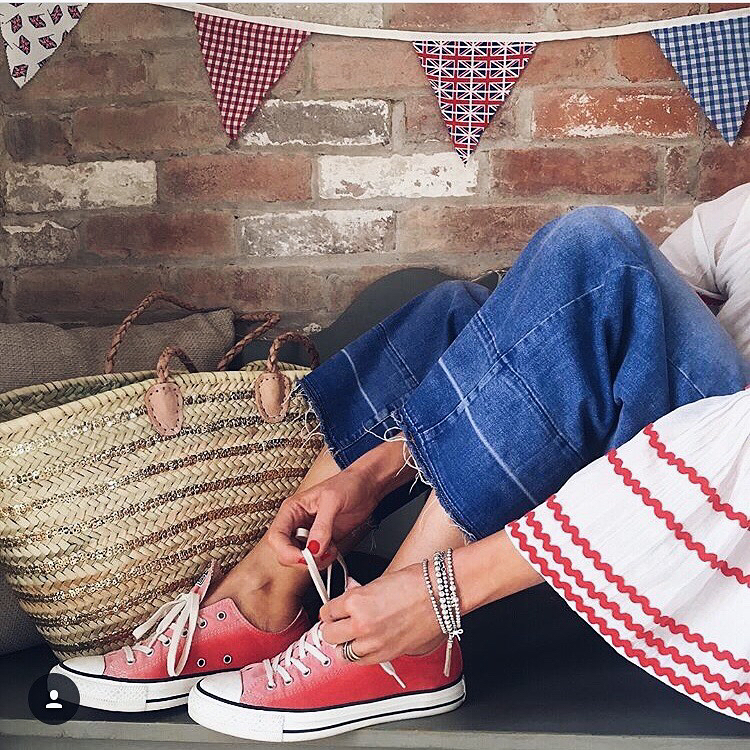 Sara from @welliesandchampgane has tied the red of her Converse through to her sleeves & bunting whilst…. 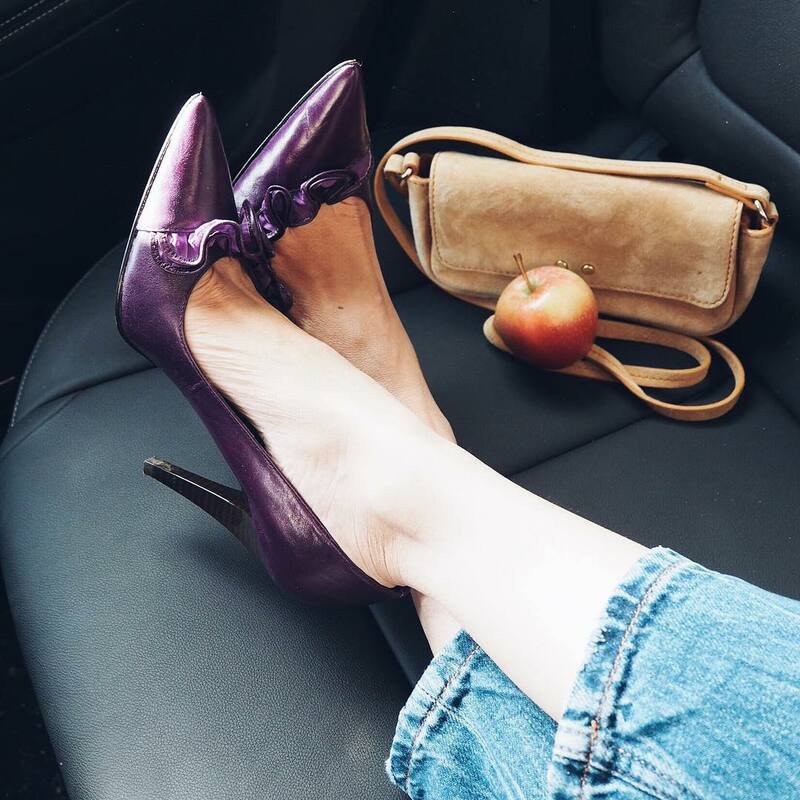 Another beautiful example of a colour coordinated vignette of a shoefie from Joanna @lovestyle40 shows that you can use your own home and what’s around you to create a perfectly pretty shoefie! 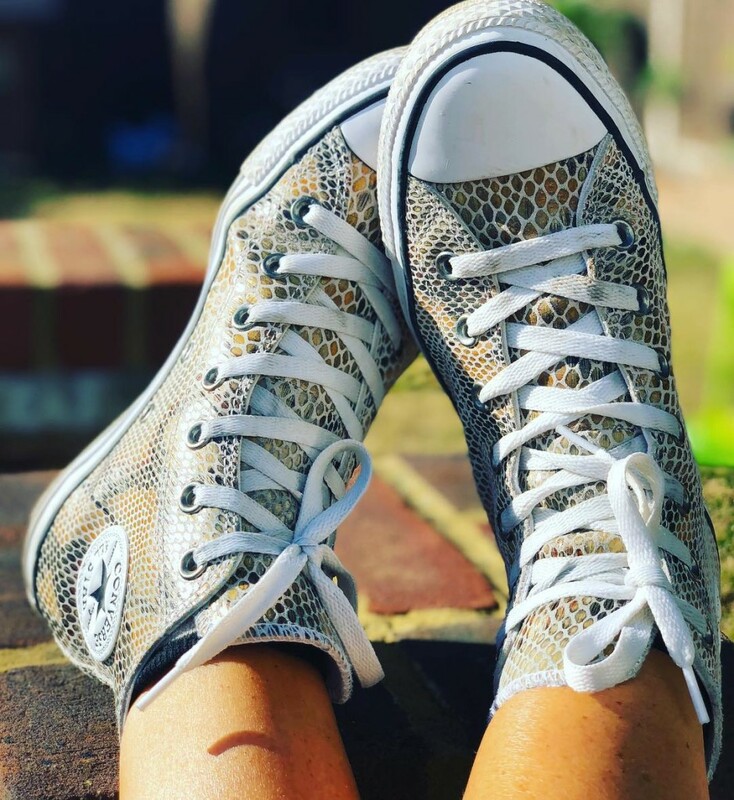 A perfect example here from Karen @kpadoes40 of her snakeskin Converse. I took this using a low level tripod, however, in the absence of a tripod: just turn your phone to selfie mode; set a time and prop your phone against a bag to get a ground level shot. 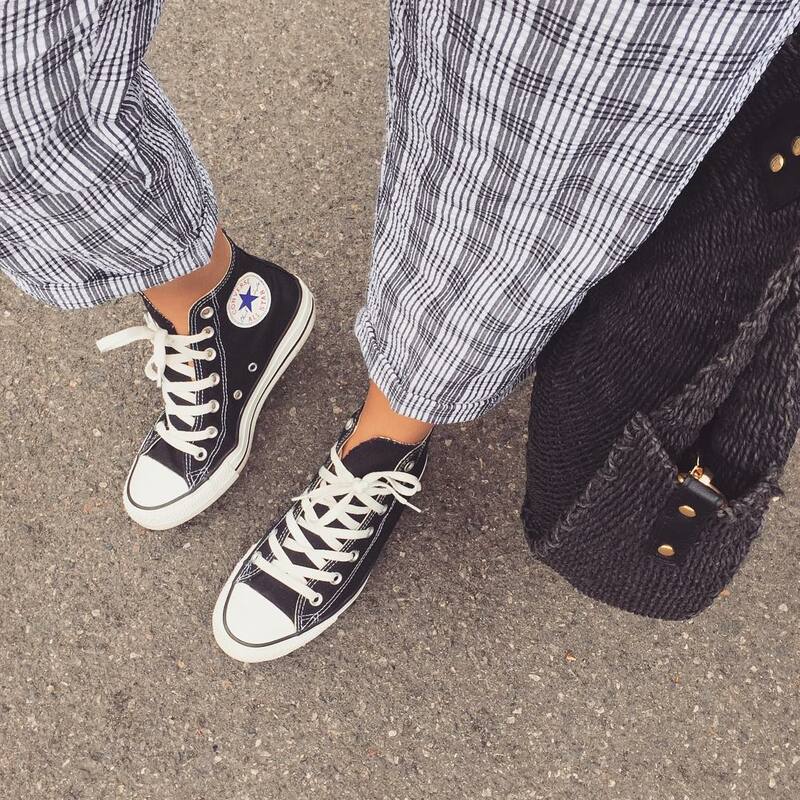 A great view from the top here from Kellylou @lookoflou of her black Converse: monochrome always makes a great shot! This is me skateboarding – I used a tripod and timer… it wasn’t the easiest of shots to take, but I got there in the end! I posted this photo last year, and given it was my homage to the @evachen2012 pose I tagged her on my image and used #evachenpose in my hashtags. 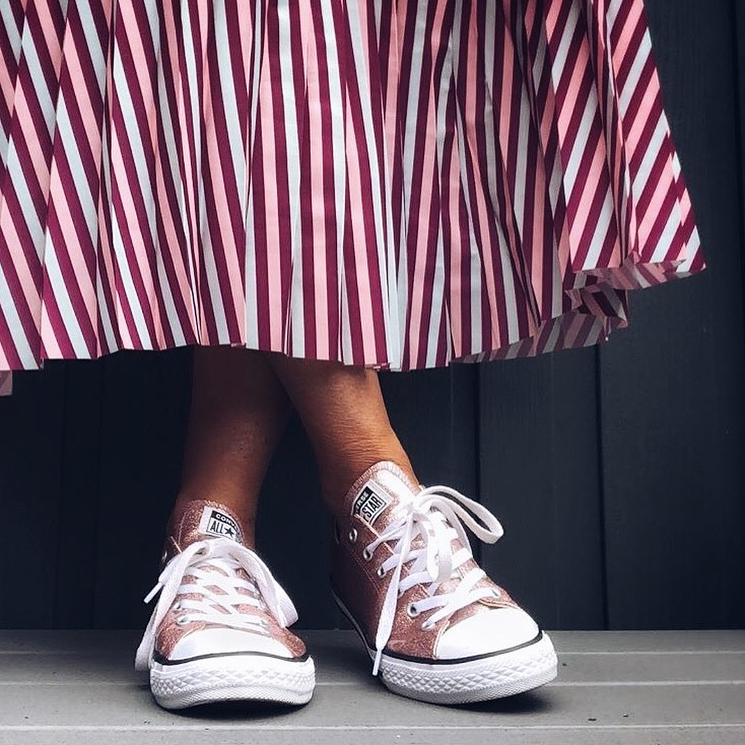 And finally, this stunning image from @mammaphoto of her beautiful pink metallic Converse juxtaposed with her dreamy, floaty skirt is, to date… my most liked #fridayfeet headlining shot from a Saturday morning Swipe Selection of shoefies. Quite rightly too – it’s such a dreamy pic of fab sneakers and a fab skirt to boot! It has to be said, Converse trainers make for a great shoefie, don’t they? 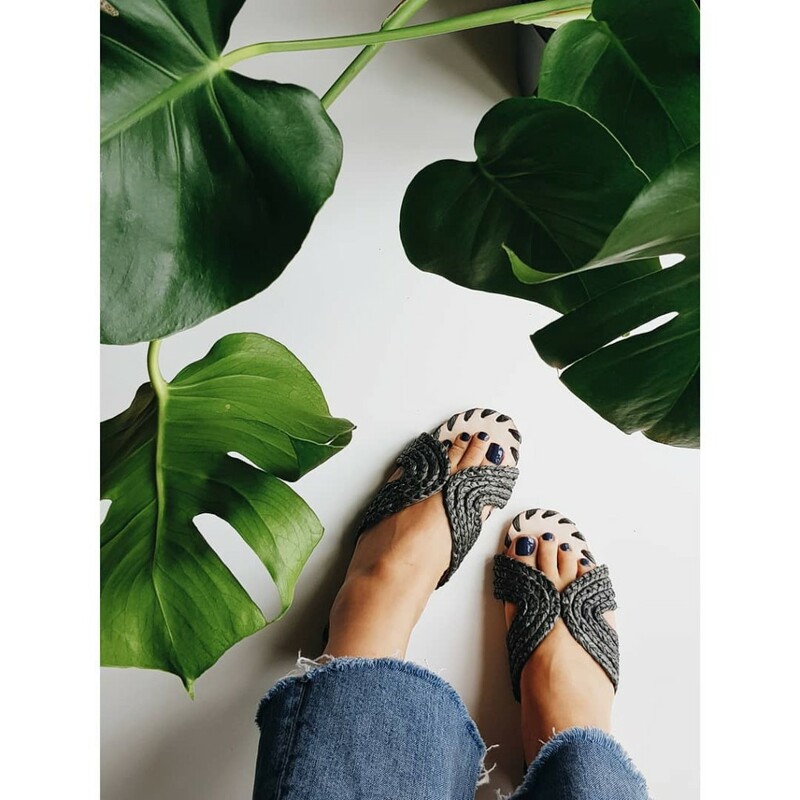 There are plenty of other ways to get creative with your shoefies: using a view as a backdrop, using your fur babies in the shot, stairs often make for a great shoefie backdrop too… and what let’s not forget a group shoefie or twinning? Get your creative thinking caps on! So how can you win a pair of Converse this Friday? Like my Friday Feet post this week! if you don’t have any Converse, just post a great #fridayfeet shoefie, again tagging @converse, @swindonoutlet and of course, me (@smalltownthreads) but in your caption, tell us why you’d like to win a pair of converse. 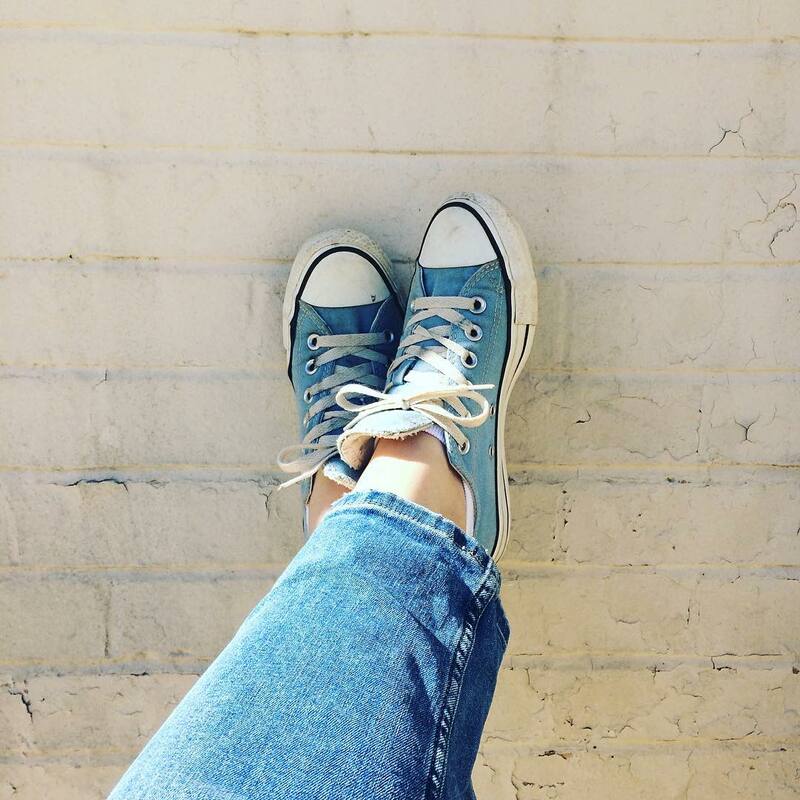 @swindonoutlet will be choosing their favourite five shoefies to win a pair of Converse. The giveaway will be open all day Friday 24th August, right up until 11:59 with winners being announced on Tuesday 29th August by @swindonoutlet. In the meantime, if you can’t wait for Friday, and fancy getting your mitts on pair of Converse before then, why not pop down to Swindon Designer Outlet this Thursday 23rd August? I’ll be heading to Swindon on Thursday for the Converse Outlet Store Opening and will be there for a few hours from 11am: come and say “hi” – I’d love to meet you! 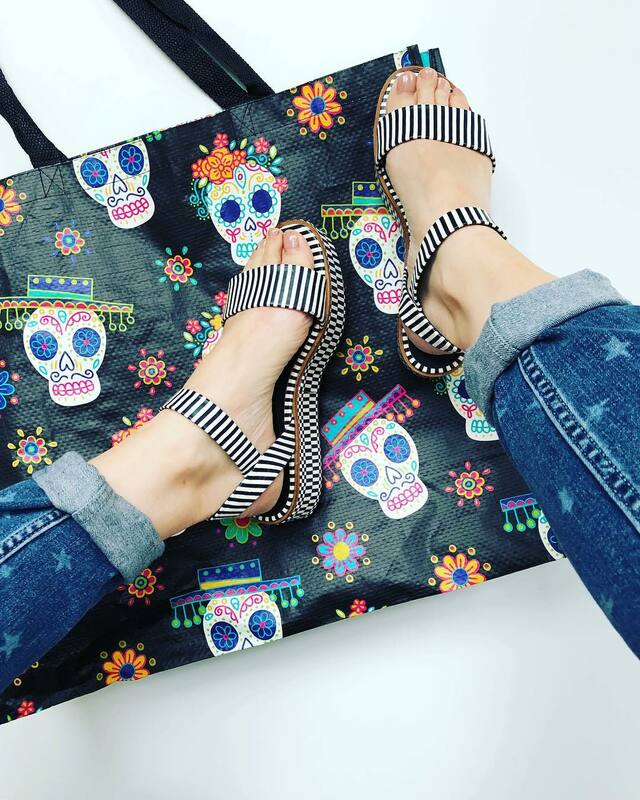 If you have any friends who you think would be interested in taking part in this #fridayfeet giveaway, why not pop a link to this blog post over to them? Don’t forget to keep an eye on my Instagram stories and main feed for further reminders and updates! I’ve never been quite as excited about a #fridayfeet Friday as this week… and really hoping that I might get to meet some of you this Thursday at the opening of the Swindon Designer Outlet – Converse Outlet Store! Thanks for reading and as always, if you have any questions at all: leave a comment and I’ll get back to you. The Small but Important Print: Winners will be picked by Swindon Designer Outlet and should be happy to share their email with both @converse, @swindonoutlet; you should be happy to collect your prize from @swindonoutlet, however in the event that you are unable to, please correspond with Swindon Outlet who will endeavour to get your prize to you. The competition is open to UK residents only, and is in no way connected to Instagram. Noooooooooooooooooo!!! So gutted your Irish Friday Feet Ladies can’t win Bean? UK only?